It seems like there’s a new study popping up every day about coffee, caffeine and the effects they have on your body. Do you have to give up your beloved drink? Without morning coffee, will there be anything left to live for? As a fellow coffee addict, I’m here as the bearer of good news. Coffee is not bad for you and has plenty of health benefits. Right now, I can almost hear the 150 million daily coffee drinkers in the U.S. breathing a collective sigh of relief (while keeping one nervous eye on the drip brewer as it churns up the second pot of the day). I get it — some skepticism is normal when you are first told that you are allowed to truly enjoy something you love. Here’s the solid proof you’ve been looking for to justify your coffee habit. 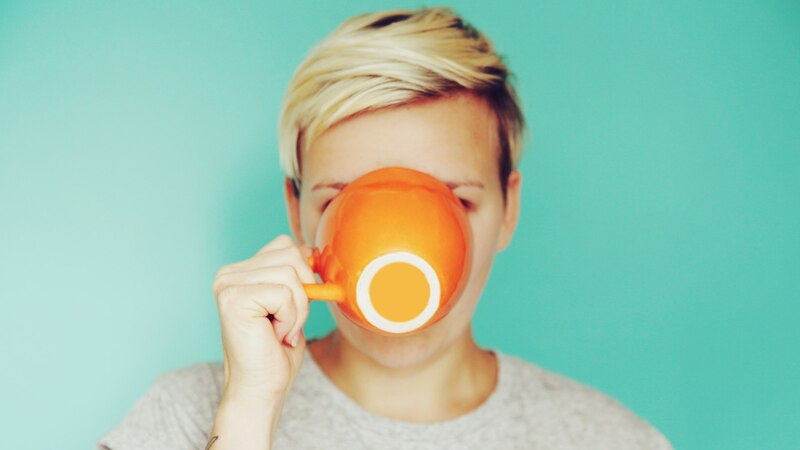 More: Is My Coffee Habit Throwing Off My Hormones? While Dr. Swapan Banerjee, family medicine doctor in Seabrook, Texas, isn’t so quick to jump on the “my coffee is magic” campaign, he concedes that there are pros and cons to drinking America’s favorite morning beverage. For starters, coffee contains beneficial antioxidants, Banerjee says. He adds that there are also a number of essential nutrients in coffee: 11 percent of the recommended daily allowance for riboflavin, 6 percent of the RDA for pantothenic acid, 3 percent of the RDA for manganese and potassium and 2 percent of the RDA for magnesium and niacin. Rizzo adds, “Make sure you indulge in that cup of coffee at least two hours prior to exercise to avoid digestion issues.” And, run this by your doctor before making it a habit. Everyone’s body is different. I promise we’ll get to the legitimate health benefits in a minute, but first, there are a few frivolous “perks” to drinking your morning cuppa — one of which is coffee’s well-known ability to keep you trim. When asked what coffee can do for your waistline, Banerjee is quick to point to the science: More than two decades ago, Annals of Nutrition and Metabolism researchers discovered that caffeine in coffee can help you burn fat by boosting metabolism. Drinking your daily coffee not only keeps you sharp for that morning meeting, but it could provide brain-boosting benefits for the future. Rizzo says one of the biggest health benefits of drinking coffee is its potential to reduce the risk of Alzheimer’s disease, a modern epidemic without a cure. “The antioxidants in coffee may prevent some brain cell damage associated with the disease,” she explains. If you fall into the high-risk category for Type 2 diabetes — meaning that you are one of the 84 million Americans over the age of 18 with prediabetes — this may come as welcome news. Coffee can’t cure Type 2 diabetes, but Banerjee reminds us of compelling research that points to its protective benefits. A study published in the American Journal of Clinical Nutrition in 2008 confirmed that regular coffee drinking (with potential benefits from black tea, but not green tea) has been associated with a lower risk of Type 2 diabetes. Clearly, coffee has more health benefits than you can count on two hands — like its ability to reduce risk of stroke, reduce risk of depression in women and provide support for heart arrhythmia, cirrhosis of the liver, asthma attacks, gallstones and even Parkinson’s disease. But, here’s a big one you’re not likely to forget: Duvauchelle says drinking coffee can help to reduce the risk of liver cancer by up to 50 percent. Many of coffee’s anti-cancer benefits can be traced back, again, to its higher-than-average antioxidant content. We can all agree that coffee is amazing and at least a little good for you. But, unfortunately, there’s still no research that supports a caffeinated free-for-all. What’s more, every person responds differently to coffee. A morning jolt for you might be a nightcap for someone else. The recommended daily amount falls somewhere in between too little and too much — EU’s Food Safety Authority estimates that 400 milligrams of caffeine, or roughly four cups of coffee, is a perfectly safe amount of caffeine for a healthy adult. A life-threatening dose of caffeine has been estimated between 10,000 and 14,000 milligrams according to the Food and Drug Administration. Each coffee health study may be based on a different daily amount. So, listen to your body, talk to your doctor, read the research and safety recommendations, and make a decision you are comfortable with. And when all else fails, remember the motto that will serve you well in almost all areas of life: Everything in moderation.